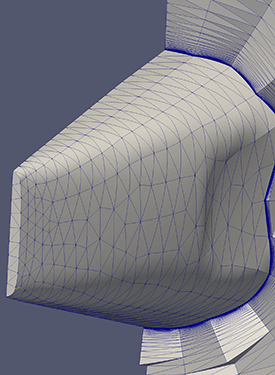 Pointwise has published the case study, “Automatic Generation of High-Quality Meshes using Pointwise and Glyph” which details how Glyph scripts integrated with Pointwise can reduce meshing time. Pointwise has released a video, “Rapid Viscous CFD Mesh Generation for Propellers” that shares some strategies to quickly construct a high-quality viscous mesh for an APC Slow Flyer 8 x 3.8 model aircraft propeller. Pointwise has released the webinar, “High-Order Mesh Generation Using Pointwise.” The webinar addresses the two main challenges tied to the degree elevation of linear elements. Tim Weathers from CRAFT Tech is this year’s winner of the Pointwise Meshy Award for his mixed-element unstructured grid of an advanced power system compressor. He was presented the Meshy Award trophy at the Pointwise User Group Meeting 2018. The training sessions at the Pointwise User Group Meeting will include hands-on training on the new features recently released in Pointwise Version 18.2 including high-order meshing, T-Rex updates, and user interface enhancements. Pointwise, Inc., the choice for CFD meshing, announced a new white paper, “The Ultimate Guide to Writing Import and Export Plugins,” that will help you fully integrate Pointwise into your workflow by customizing it with your file formats. 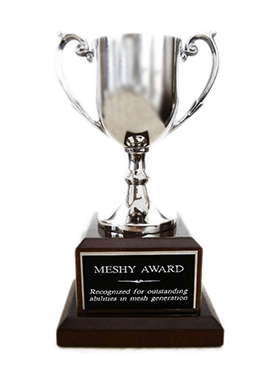 Pointwise is accepting entries for the Meshy Award Contest for the most outstanding mesh generated using Pointwise. The winner will be announced on 15 November 2018 during the Pointwise User Group Meeting. Pointwise has released the webinar, “Meshing Automation and Adaptability in Pointwise V18.1” which details the new features supporting overset meshing and automation tools in Pointwise. Pointwise's Phase I Small Business Innovation Research (SBIR) proposal “Computational Geometry Kernel Support” has been selected for award negotiation by the U.S. Air Force. Registration for the Pointwise User Group Meeting held in Fort Worth on 14-15 November 2018 is open. Pointwise, Inc. now accepting abstracts for technical presentations to be given at the Pointwise User Group Meeting 2018 on 14-15 November in Fort Worth, Texas. 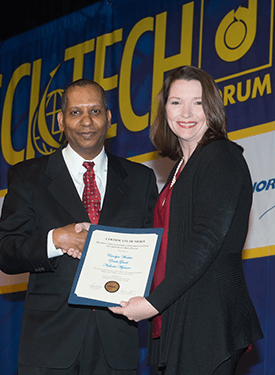 Pointwise's Small Business Innovation Research (SBIR) Phase II proposal “High Order Mesh Curving and Geometry Access” has been selected for award negotiation by NASA. 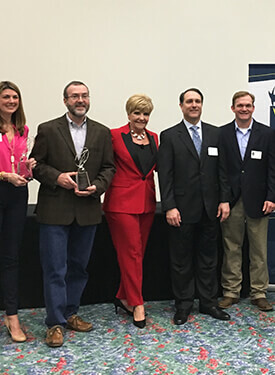 Pointwise received the 2018 Small Business of the Year Award from the Fort Worth Chamber of Commerce at Mayor Betsy Price’s Annual State of the City address at the Fort Worth Convention Center on 20 February 2018. John Chawner accepted the award on behalf of Pointwise. Pointwise announces Project Geode and the availability for beta testing of a geometry modeling kernel for computer-aided engineering (CAE) simulation software. 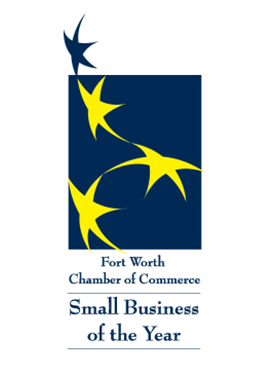 The Fort Worth Chamber of Commerce has named Pointwise a finalist for 2018 Small Business of the Year award, presented by Independent Bank. Pointwise, GoVirtual, and Metacomp Technologies will host a joint webinar entitled “The Influence of Meshing Strategies on Simulation Efficiency” at 10 a.m. CST (UTC-6) on 13 December 2017. In the webinar, “Towards Mesh Adaptation with Pointwise”, we will introduce adaptation in Pointwise and how this upcoming feature is used to improve upon existing mesh adaptation solutions. 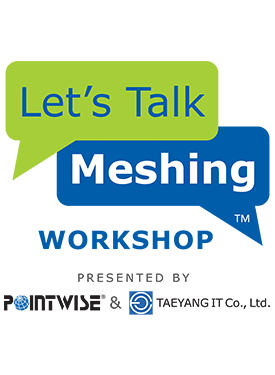 Pointwise, Inc. and TAEYANG IT Co., Ltd, are collaborating to bring a Let’s Talk Meshing Workshop to Daejeon, Korea on 16 October 2017. 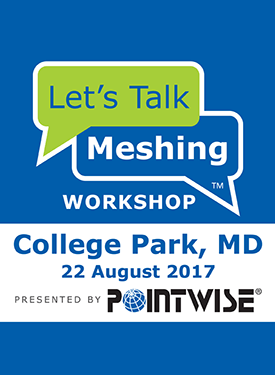 Pointwise's Let's Talk Meshing Workshop series comes to the Washington D.C. area on 22 August, bringing a host of new material and techniques to the CFD community. Pointwise, Inc. and Envenio have signed a co-licensing agreement to offer both products, Pointwise and EXN/Aero, on-demand, on HPC cloud-host Nimbix. Pointwise and CRAFT Tech will host a joint webinar entitled “Big Wave Surfboard Optimization Using Pointwise & CRUNCH CFD” on 25 April 2017 at 10 a.m. CT (UTC-5). The latest release of Pointwise's computational fluid dynamics (CFD) mesh generation software has been extended such that its Tcl-based Glyph scripting language can be called from any scripting language including Python. Pointwise will present a webinar entitled, “Unstructured Quad & Hex Meshing Using Pointwise” on 14 December at 10 a.m. CST (GMT-6). Pointwise will premiere a Let's Talk Meshing webcast entitled, “Mastering Geometry Cleanup Tasks in Pointwise” on 26 October at 10 a.m. CDT (GMT-5). The lineup of presenters for the Pointwise User Group Meeting in Fort Worth on 21-22 September has been announced. Attendees at the Pointwise User Group Meeting will be some of the first people in the world to learn about the latest features in the new Pointwise V18 release. 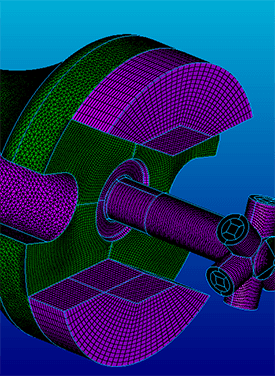 Pointwise will premiere a Let's Talk Meshing webcast entitled, “Localized Remeshing Strategies for Parametric Models in Pointwise” on 25 May at 10 a.m. CDT (GMT-5). Registration for the Pointwise User Group Meeting on 21-22 September 2016 in Fort Worth, Texas is now open. Tecplot, SU2, Stanford Solar Car Project and Pointwise will present a joint, 30-minute webinar entitled, “The Stanford Solar Car Project's Race for Aerodynamic Efficiency” on 5 April at 10 a.m. CDT (GMT - 5). Pointwise, Inc. is accepting abstracts for technical presentations to be given at the Pointwise User Group Meeting on 21-22 September 2016 in Fort Worth, Texas. Pointwise announces the latest release of its meshing software featuring updated native interfaces to computational fluid dynamics (CFD) and geometry codes. Pointwise announces that the Gridgen end-of- life will happen in 2016. 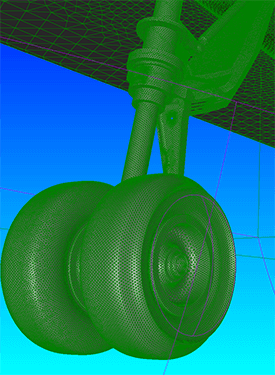 Support and maintenance of Gridgen will end when Pointwise V18 is released. 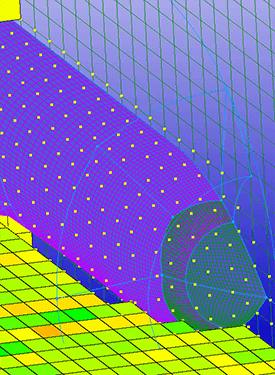 Pointwise will premiere a Let's Talk Meshing webcast entitled, “Meshing Considerations for Adjoint-based Mesh Adaptation” on 27 January at 10 a.m. CST (GMAT -6). Applied CCM Canada, Celeritas Simulation Technology and Pointwise will present a joint, 30 minute webinar entitled, “Overset Grid Generation and CFD using Pointwise, Suggar++, and Caelus” on 8 December at 10 a.m. CST (GMT -6). Pointwise just completed its first ever Wallpaper Contest to celebrate meshing artistry. The contest gave people who generate meshes for computational fluid dynamics (CFD) with the Pointwise software a chance to show off the aesthetic aspects of their grids. Pointwise will premiere a Let's Talk Meshing webcast entitled, “Using Automated Meshing for Analysis in Conceptual Design” on 27 October at 10 a.m. CDT (GMAT -5). Pointwise announces the latest release of its meshing software featuring new native interfaces to computational fluid dynamics (CFD) codes. Pointwise has been awarded a 2-year, $1.2 million contract from the U.S. Air Force Materiel Command, Arnold Engineering Development Complex for continued enhancement and maturation of the company's overset grid assembly feature suite and related technologies. The first international Pointwise Let's Talk Meshing Workshop is being co-hosted by Pointwise and CFD Beratung at the Höchstleistungsrechenzentrum (HLRS), Universität Stuttgart on Monday, 16 November in Stuttgart, Germany. 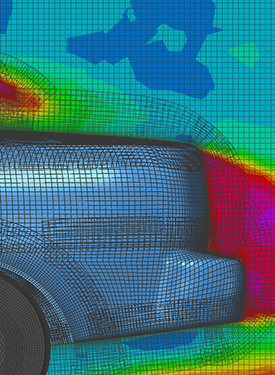 Pointwise and Optimal Solutions will present a webinar entitled “Automotive Design Optimization using Pointwise, Sculptor, and OpenFOAM” on 15 September at 10 a.m. CDT (GMT - 5). 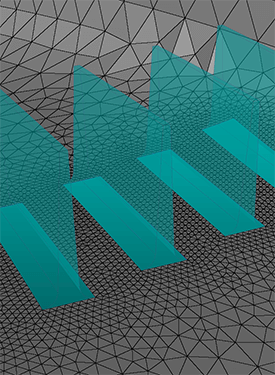 Pointwise will premiere a Let's Talk Meshing webcast entitled, “Grid Extrusions & Boundary Conditions: What's New?” on 30 June at 10 a.m.
Pointwise announces the latest release of its computational fluid dynamics (CFD) meshing software with enhanced overset grid generation capabilities. 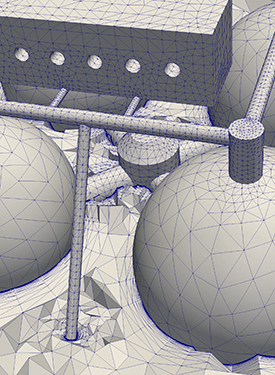 Pointwise will host a Let's Talk Meshing webcast on 10 June at 10 a.m. CDT (GMT -5) during which we will describe how to write a CAE plugin for Pointwise that exports meshes to your custom file format. Pointwise, Inc. has entered into a distributorship agreement with VINAS Co., Ltd. of Japan for sales and support of the Pointwise mesh generation software in China in conjunction with Nanjing TianFu Software Limited. With the AIAA Aviation and Aeronautics Forum and Exposition 2015 being held in its backyard, Pointwise is extending Texas hospitality to meeting attendees with some special activities. 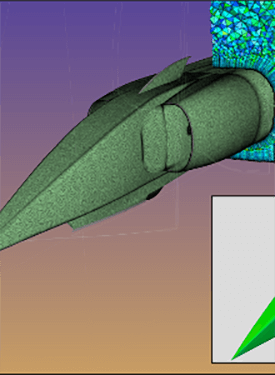 Pointwise and TotalSim will present a webinar entitled “Land-Speed Record Attempt Uses High-Fidelity, High-Speed CFD” on 28 April at 10 a.m. CDT (GMT - 5). Pointwise will present a webinar at 10 a.m. CST (GMT -6) on 26 February to introduce overset grid assembly tools in Pointwise Version 17.3. Pointwise announces the latest release of its computational fluid dynamics (CFD) meshing software featuring direct integration with overset grid assembly (OGA) software. 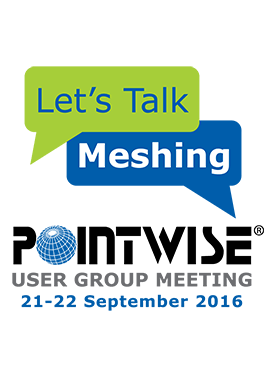 Introduction to Glyph Scripting, a means to customize mesh generation for computational fluid dynamics, will be the focus of a Pointwise Let's Talk Meshing interactive forum at 10 a.m. CST (GMT -6) on 11 February. Pointwise, Inc. has signed distributorship agreements with Applied CCM Canada and KFour Metrics of India for sales and support of the Pointwise mesh generation software in those respective countries. Pointwise announces the addition of Dr. Steve L. Karman Jr., formerly of the University of Tennessee at Chattanooga SimCenter, to its Applied Research Team. Pointwise will host a Let's Talk Meshing interactive forum on techniques for creating structured hexahedral grids with Pointwise. 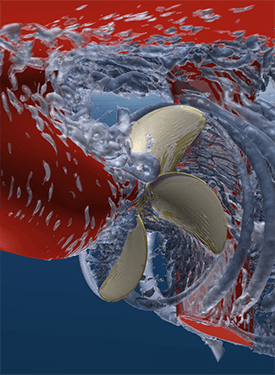 Prof. Rickard Bensow of Chalmers University of Technology has been named recipient of the Pointwise Meshy Award for his grids relating to how cavitation on a ship propeller is affected by the installation upstream of energy efficiency improving stator blades that change the propeller inflow. 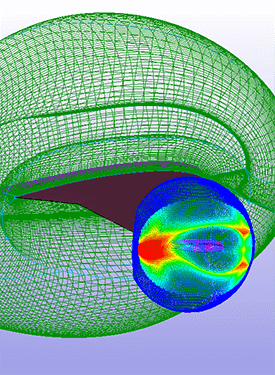 Presentations representing a wide range of computational fluid dynamics (CFD) applications and techniques will highlight the Pointwise User Group Meeting 2014 on 29-30 October in Anaheim, California. John Chawner, president of Pointwise, Inc., will address the current and future states of computational fluid dynamics (CFD) and how CFD impacts design during a webinar hosted by ENGINEERING.com at 2 p.m. EDT (GMT -4) on 16 September. 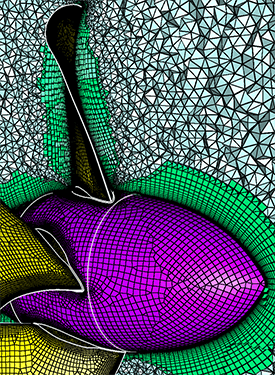 Advanced Structured Gridding will be the topic of the short course presented during the Pointwise User Group Meeting 2014 in Anaheim, California. 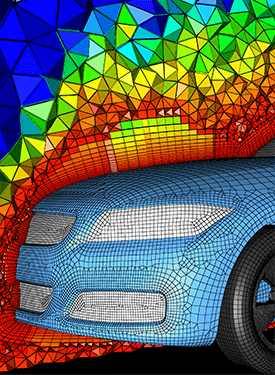 Pointwise and AeroDynamic Solutions (ADS) will present a webinar entitled “Mesh Topology Influence on Volute Aerodynamic Performance Computed Using Code Leo” on 27 August at 10 a.m. CDT (GMT − 5). Pointwise and the SU2 team at Stanford University will present a workshop 29-30 September that will walk attendees through the end-to-end meshing, analysis and design process in computational fluid dynamics (CFD) using Stanford's open source CFD code, SU2. 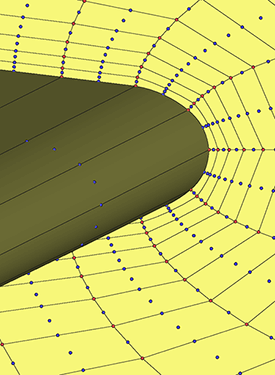 Pointwise will host a Let's Talk Meshing interactive forum at 10 a.m. CDT (GMT -5) on 6 August to discuss tips for handling complex geometries and very large grids. Pointwise will present a webinar at 10 a.m. CDT (GMT -5) on 3 June to introduce unstructured hexahedral extrusion using T-Rex (anisotropic tetrahedral extrusion) in Pointwise V17.2. 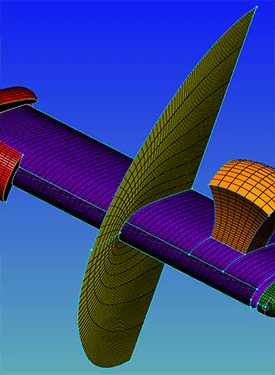 Pointwise, Inc. is accepting abstracts for technical presentations to be given at the Pointwise User Group Meeting on 29-30 October 2014 in Anaheim, California. Pointwise announces the latest release of its Pointwise computational fluid dynamics (CFD) meshing software featuring an extension of the company's advanced T-Rex hybrid meshing technique to generate near-wall layers of hexahedral cells. Pointwise is hosting a live question-and-answer session on YouTube on 29 January to answer questions and provide more details about a prerecorded video of structured grid generation for an aneurysm. Pointwise is hosting a free webinar entitled Estimating the Power Requirement of a Rushton Turbine Using Pointwise and OpenFOAM® at 3 p.m. CST (GMT-6) on 11 December. 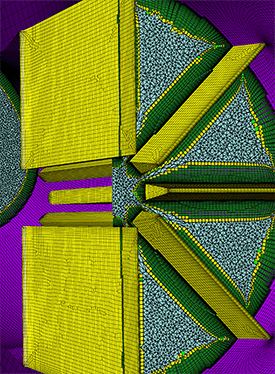 A mesh generated by Pointwise engineers Travis Carrigan and Carolyn Woeber won the International Meshing Roundtable (IMR) Meshing Maestro and Meshing Contest awards at the recent 22nd IMR in Orlando, Florida. Pointwise will host a webinar at 10:30 a.m. CST (GMT -6) on 7 November highlighting the new capabilities in its latest software release. Pointwise announces the latest release of its Pointwise computational fluid dynamics (CFD) meshing software, now compatible with the GridPro grid generator. Combustion Research and Flow Technology (CRAFT Tech), CEI and Pointwise will present a joint, 30-minute webinar at 10 a.m. CDT (-5 GMT) on 12 September on how to utilize the best CAE tools to investigate and understand the complex cavitation phenomena occurring in high energy water injection pumps. Pointwise announces the latest release of its Pointwise computational fluid dynamics (CFD) meshing software which includes enhanced techniques for evaluating mesh quality and new native interfaces to CFD solvers. 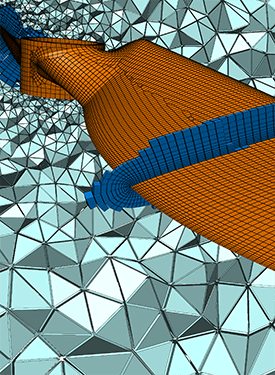 Pointwise will present the second in the Meshing Forensics webinar series, “Overcoming Common Structured Gridding Pitfalls,” on 20 June at 10 a.m. CDT. Pointwise will present “Meshing Forensics: How to Recover When Things Go Wrong,” a free webinar, at 10 a.m. (CDT) on 8 May. A team of CRAFT Tech engineers – Dr. Vineet Ahuja, James Chenoweth, Don Kenzakowski and Zisen Liu – has won the Pointwise Meshy Award for its grid of a low head safety injection (LHSI) pump for nuclear power plants, constructed for computational fluid dynamics (CFD) performance studies. Pointwise announces the latest release of its Pointwise computational fluid dynamics (CFD) meshing software, which includes a refactored algorithm for agglomerating cells in a hybrid mesh. 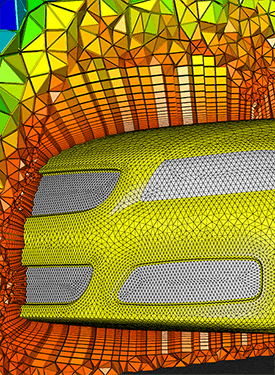 Pointwise Version 17.1's new capabilities, from new CAE solver compatibility to an advancing front algorithm for unstructured surface meshing, will be the subject of a free webinar on 21 February hosted by Carolyn Dear Woeber and Erick Gantt. Pointwise is offering a special short course, Meshing Forensics: How to Recover When Things Go Wrong, on 19 March as part of the Pointwise User Group Meeting. Presentations representing a wide range of computational fluid dynamics (CFD) applications will highlight the Pointwise User Group Meeting here on 19-20 March. Pointwise announces the latest release of its Pointwise computational fluid dynamics (CFD) meshing software, which includes a new advancing front algorithm for unstructured surface mesh generation and improvement in file reading and writing that yield up to a hundred-fold speedup. Pointwise is accepting entries for the Meshy Award contest for the most outstanding mesh generated using Pointwise or Gridgen. The winner will be announced on 20 March 2013 during the Pointwise User Group Meeting. With the 51st AIAA Aerospace Sciences Meeting being held in its backyard, Pointwise is extending Texas hospitality to meeting attendees by hosting some special activities, beginning with a free Glyph Scripting Seminar on Sunday, 6 January at the Gaylord Texan Convention Center in Grapevine, TX. 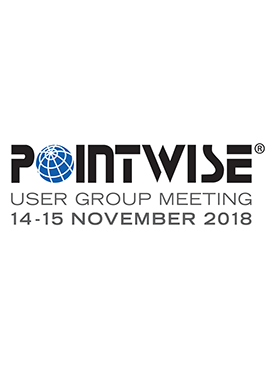 Pointwise is offering the opportunity for customers to vote on the topic for an hour-long short course to be presented at the Pointwise User Group Meeting 19-20 March 2013. The short course will be offered in addition to training on new features and special topics. 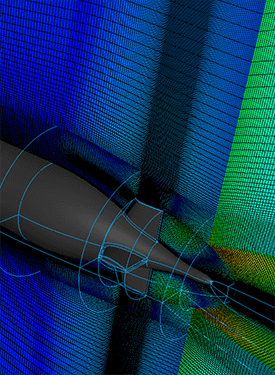 Pointwise, Inc. will team with aerodynamics engineer Darren Grove and Kevin Colburn, sales manager at CEI, in a free webinar that will demonstrate how North American EagleTM (NAE) has used computational fluid dynamics (CFD) to design aft suspension fairings to reduce drag on their supersonic ground vehicle in preparation for an attempt to break the land speed record of 763 mph with a goal of 800 mph. Pointwise, Inc. has signed a distributorship agreement with Wikki Brasil, a company founded earlier this year in Rio de Janeiro. Pointwise announces the latest release of its cornerstone Gridgen software for computational fluid dynamics mesh generation, which includes several improvements to automated generation of hybrid meshes for viscous flows. 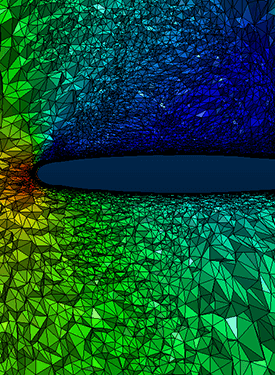 Pointwise announces the latest release of its Pointwise computational fluid dynamics (CFD) meshing software. This update includes new native grid and boundary condition export for Stanford's SU2, Scientific Simulations' NSU3D, and W.R. Davis' ShipIR. Dr. Michael Remotigue, veteran computational fluid dynamics researcher, has joined the development team at Pointwise, Inc. after nearly 21 years at Mississippi State University. 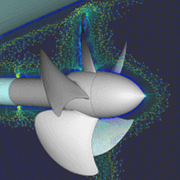 Pointwise, Inc. will present a free webinar “Structured Meshing for Low-Speed Ship Maneuvering Simulations” at 11 a.m. CDT on 22 Aug. Presenters will be Dr. Chris Sideroff and Travis Carrigan, technical sales engineers. Pointwise, Inc. is sponsoring five teams for the SAE Collegiate Design Series 2012, as well as the SAE Aero Design East and West competitions this spring. Pointwise, Inc. will host a webinar – What's New in Pointwise – at 11 a.m. CDT on 11 April, the last in a three-part series, Introducing the Latest Meshing Productivity Enhancements in Pointwise. Pointwise announces that the ability to read computer aided design (CAD) files in the recently released Pointwise Version 17 software for computational fluid dynamics (CFD) mesh generation is based upon technology licensed from CT Core Technologies. 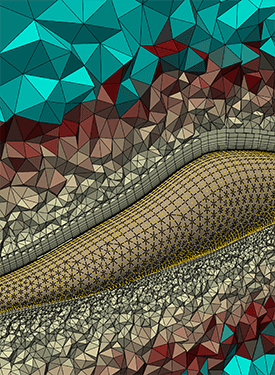 Pointwise, Inc. will host a webinar – Unstructured Viscous Boundary Layer Meshing: T-Rex – at 11 a.m. CDT on 4 April, the second in a three-part series, Introducing the Latest Meshing Productivity Enhancements in Pointwise. Pointwise, Inc. will host a series of webinars titled Introducing the Latest Meshing Productivity Enhancements in Pointwise in conjunction with the release of the latest version of its mesh generation software for computational fluid dynamics (CFD). Pointwise announces the latest release of its Pointwise computational fluid dynamics (CFD) meshing software. This major update includes an advanced implementation of the T-Rex hybrid meshing technique for viscous flows and native readers for computer aided design (CAD) files. Pointwise, a Fort Worth-based software company, has donated 30 fully supported licenses of its software for the Computer Aided Design Lab in Woolf Hall at The University of Texas at Arlington. Pointwise, Intelligent Light and the University of Tennessee at Chattanooga SimCenter will present a free webinar at 11 a.m. CST on 7 December that illustrates the various steps of the complete computational fluid dynamics (CFD) process typically followed in aerodynamic analyses of realistic geometries. Dr. Michael Böttcher of Karlsruhe Institute of Technology was named winner of the Pointwise Meshy Award at the Pointwise User Group Meeting here on 10 November. 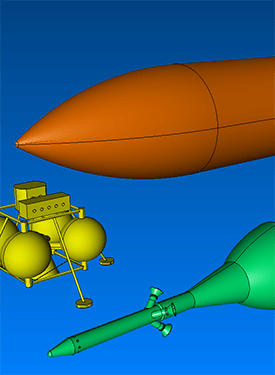 Pointwise is pleased to announce the donation of 36 fully-supported licenses of its Pointwise computational fluid dynamics (CFD) mesh generation software to the Department of Mechanical and Aerospace Engineering (MAE) in the L.C. Smith College of Engineering and Computer Science at Syracuse University. T-Rex in the Real World: Troubleshooting Difficult Grids will be the topic of the training short course on 8 November during the Pointwise User Group Meeting in Fort Worth, TX. 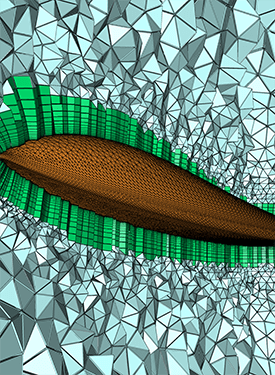 Pointwise will host a free, hour-long webinar entitled Automating Viscous Meshing for a Transonic Aircraft Model Using Glyph Scripting at 11 a.m. CDT on 5 October. Pointwise, Inc. has signed a distributor agreement with Wikki Australia, founded this year by veteran computational fluid dynamics (CFD) modeler Dr. Darrin Stephens to service the computational needs of the Oceania region. 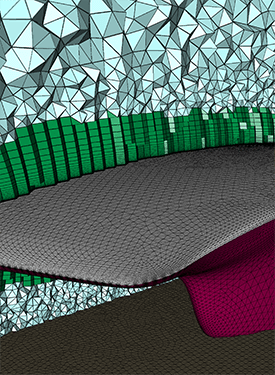 Learn how to use Pointwise's hybrid techniques to accurately capture the large range of flow-scales when meshing horizontal axis wind turbines during a free webinar at 11 a.m. CDT on 13 July. Pointwise, Inc. has been awarded an SBIR Phase II contract by the U.S. Air Force Arnold Engineering Development Center to streamline overset mesh generation for computational fluid dynamics (CFD) analysis. Pointwise announces the latest release of its Gridgen computational fluid dynamics (CFD) meshing software, featuring an update to the T-Rex hybrid meshing technique that allows for the resolution of wakes and other off-body flow phenomena. Pointwise is seeking computational fluid dynamics (CFD) enthusiasts who want to share their Pointwise or Gridgen meshing successes with the CFD community during the Pointwise User Group Meeting on 8-9 November in Fort Worth, TX. Drs. 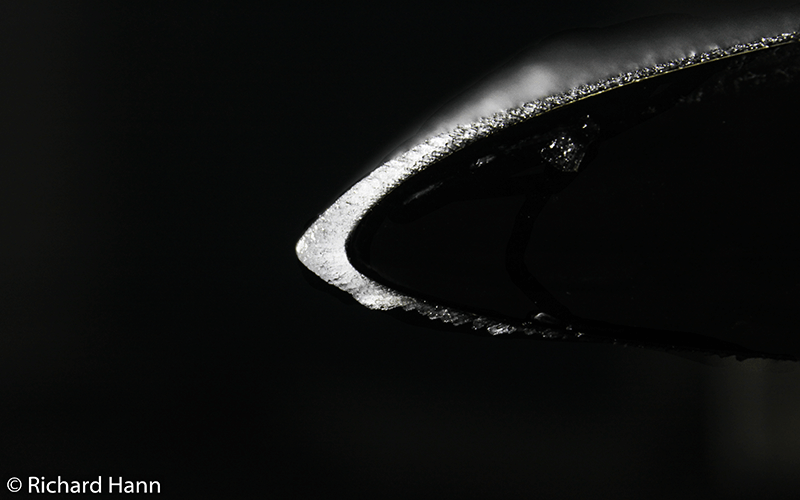 Chris Sideroff and Durrell Rittenberg will present an hour-long webinar at 9 a.m. PDT on 14 April, demonstrating how to automate the process of optimizing blade design with best in class computational fluid dynamics (CFD) tools. 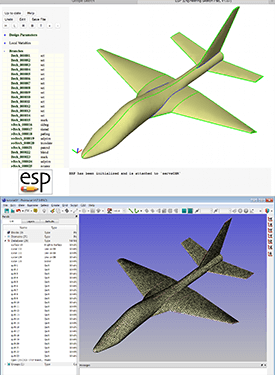 Pointwise, Inc. is a sponsor of the SAE Aero Design West competition to be held at Thunderbird Field in Dutch Branch Park in Fort Worth, TX, on 18-20 March. Pointwise announces the latest release of its Pointwise computational fluid dynamics (CFD) meshing software with a wide ranging set of new tools. Dr. Chris Sideroff will demonstrate Pointwise's flexible techniques for dealing with dirty geometry during a free webinar at 11 a.m. CST on 8 December 2010. Pointwise announces the end of life (EOL) of the Gridgen Native CAD Reader (NCR) product effective 31 December 2010. 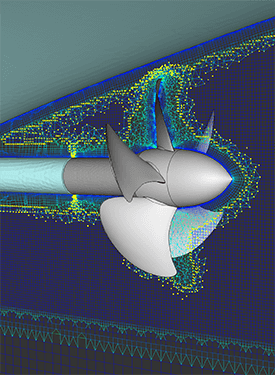 As a sponsor of SAE International's Aero Design® West, Pointwise is making its computational fluid dynamics (CFD) meshing software available without charge to students participating in the SAE Aero Design competition in both the east and west events. 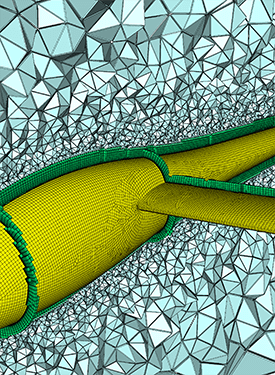 Pointwise announces the latest release of its Gridgen computational fluid dynamics (CFD) meshing software featuring an extensive suite of new tools for coupling mesh generation with overset grid assembly (OGA). Pointwise, Inc. today announced that Gridgen Version 15.15 will be the last version of the Gridgen computational fluid dynamics (CFD) mesh generation software to support Apple's Mac OS X 10.3. Dr. Chris Sideroff, Pointwise technical sales engineer, will discuss high fidelity computational fluid dynamics (CFD) simulations of a horizontal axis wind turbine using viscous unstructured meshes in Booth 12448, the booth of Pointwise partner ACUSIM, at Windpower 2010. He will speak May 24 at 2 p.m., May 25 at noon and May 26 at 10 a.m.
Pointwise, Inc. today announced that Pointwise Version 16.03 will be the last version of the Pointwise computational fluid dynamics (CFD) mesh generation software to support Apple's Mac OS X 10.4 Tiger. Pointwise announces Dr. Carl Ollivier-Gooch has been named Visiting Researcher for the summer of 2010. To celebrate the release of Pointwise V16.03 and its support for the 3D mouse from 3Dconnexion, Pointwise, Inc. is offering free 3D mice to the first 10 customers to license Pointwise V16.03. The latest release of Pointwise's mesh generation software for computational fluid dynamics (CFD) meshing features CAE plug-in, an API for customizing the product to export mesh and boundary condition data for a CFD solver or other CAE software file format. The latest release of Pointwise's computational fluid dynamics (CFD) meshing software includes support for 3Dconnexion's complete line of award-winning 3D mice, giving design engineers a more intuitive and comfortable design process that helps increase productivity. Pointwise today announced the release of its flagship computational fluid dynamics (CFD) mesh generation software for Windows 7, Microsoft Corp.'s newest operating system. Pointwise announces the latest release of its Pointwise computational fluid dynamics (CFD) meshing software featuring tools for addressing problems associated with computer aided design (CAD) geometry data. Presentations on topics ranging from aerospace to wind energy applications to scripting and hybrid meshing technology will highlight Pointwise's User Group Meeting on 13-14 April in Fort Worth, TX. Pointwise, Inc., has announced a partnership with Go Virtual Nordic AB for the distribution of Pointwise software in Sweden, Norway and Denmark. Nick Wyman, director of applied research at Pointwise, Inc., will present and demonstrate new Gridgen capabilities for integration and visualization of overset grid assembly on Tuesday, 5 January 2010 during the AIAA Aerospace Sciences Meeting and Exhibit in Orlando, Florida. Pointwise today released the latest update to its Gridgen meshing software for computational fluid dynamics (CFD) with new tools for drastic size reductions in hybrid meshes. 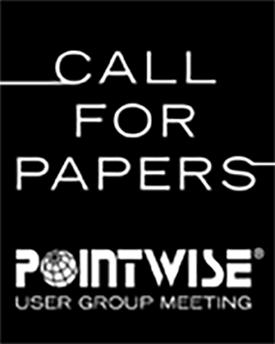 Pointwise has announced a call for papers for its 2010 User Group Meeting on 13-14 April in Fort Worth, Texas. Abstracts of 500 words or less are due 31 January 2010. Pointwise, Inc., the leading, independent provider of mesh generation software and services for computational fluid dynamics (CFD), celebrated its 15th year on 11 November. Pointwise announces the latest release of its Pointwise software featuring a new native interface to ACUSIM's AcuSolveTM computational fluid dynamics (CFD) software. Pointwise interns have been named winners in the Intern Hero contest conducted by Little Debbie® Muffins. Their winning entry, seeking to answer the question "Are Little Debbie Muffins Aerodynamic? ", included a three dimensional model of a muffin created by Pointwise® software and a flow visualization. Pointwise announces the latest release of its Gridgen software featuring new techniques for generating larger and higher quality hybrid meshes for computational fluid dynamics (CFD). 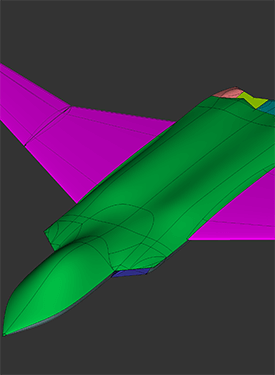 Pointwise has contracted to work with the U.S. Air Force to improve overset meshing as part of the Air Force's Small Business Innovation Research program, according to Nick Wyman, Pointwise's director of Applied Research. Pointwise, Inc. is taking a survey to determine where CFD engineers get their news. Pointwise, Inc. announces the latest release of their Pointwise mesh generation software for computational fluid dynamics (CFD) featuring mesh quality evaluation and monitoring tools. Pointwise announced today Pointwise Version 16.02 will be the last release available for the SGI IRIX operating system. 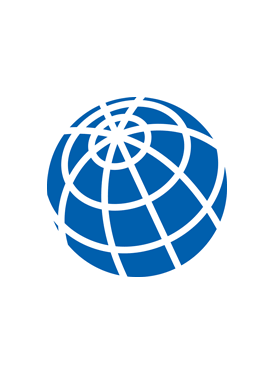 It will continue to be available on Windows, Linux, and Mac OS X operating systems. Pointwise announces the latest release of their Gridgen software featuring improved performance for the anisotropic tetrahedral extrusion technique for highly-automated, high-quality, hybrid mesh generation for computational fluid dynamics. Pointwise announced today Professor Hrvoje Jasak of Wikki Ltd. and University of Zagreb, Croatia will collaborate with Pointwise this autumn as a visiting researcher. 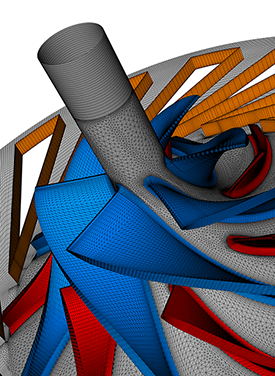 Pointwise announces the latest release of their Gridgen meshing software with enhanced hybrid mesh generation capabilities for computational fluid dynamics (CFD). Pointwise is pleased to announce that Mr. Jon Beesley, Director and Chief Test Pilot at Lockheed Martin Aeronautics, will deliver the keynote address at the Pointwise User Group Meeting 2008 on 6 November 2008. Pointwise, Inc. released today the first major update to Pointwise, their meshing software for computational fluid dynamics (CFD). 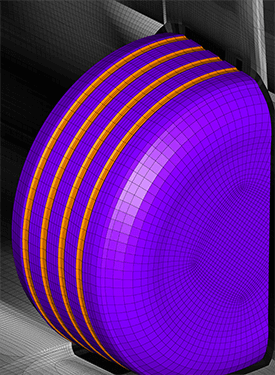 This latest release continues the migration of meshing functionality from Gridgen, and adds several unique, time-saving capabilities to Pointwise. Pointwise, Inc. is pleased to announce the Pointwise User Group Meeting 2008 will be held at the Embassy Suites Hotel in Downtown Fort Worth on 5-6 November 2008. Pointwise announces that Dr. Steve L. Karman Jr. of the SimCenter: National Center for Computational Engineering at the University of Tennessee at Chattanooga will spend a month at Pointwise's Fort Worth, Texas headquarters as this summer's visiting researcher. 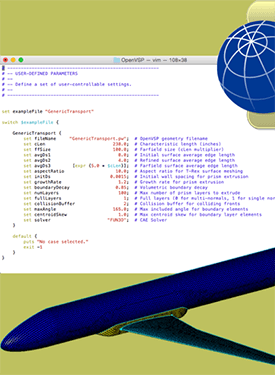 Pointwise is announcing a new collaboration with DreeseCode Software, makers of the DesignFOIL software for airfoil and wing design and preliminary analysis. Pointwise announces the release of Gridgen Version 15.11, the latest version of our reliable CFD meshing software. This latest release features upgrades to the Native CAD Readers (NCRs) for importing geometry directly from computer-aided design (CAD) file formats. After more than four calendar years and over 25,000 person hours of development time, Pointwise, Inc. today released its next generation meshing software, named Pointwise. Pointwise announces the addition of a native Tecplot interface to their Gridgen computational fluid dynamics (CFD) meshing software. Pointwise recently announced a special offer for engineers using the popular computational fluid dynamics (CFD) solvers from CD-adapco. Pointwise is pleased to announce that Nick Wyman has been named Director of Applied Research. 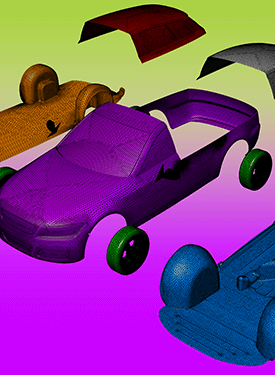 The goal of the new Applied Research Group is to partner with other companies and government organizations on development projects that will directly impact Pointwise's products. 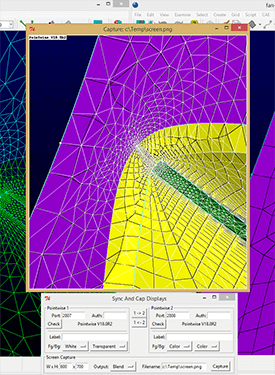 Pointwise and CADNexus announce the release of the CAPRI2NMB interface between CADNexus' CAPRI CAE Gateway and Pointwise's Gridgen meshing software. Pointwise announced today the availability of its CFD meshing software, Gridgen, for workstations running the Windows Vista operating system. Pointwise today announced that Version 15.10 will be the last release of their Gridgen software to support workstations running HP's Tru64 operating system, older versions of SGI's IRIX operating system (IRIX 6.4 and earlier) and HP-UX on Itanium. The United States Postal Service (USPS) recently issued an Express Mail stamp featuring NASA's X-15 aircraft. 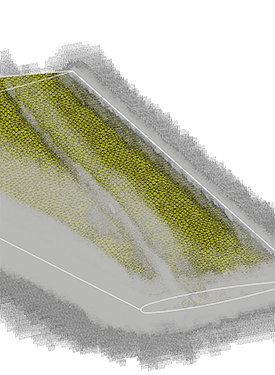 The stamp image also shows a CFD grid generated using Pointwise's Gridgen software. Pointwise announces the release of Gridgen Version 15.10, the latest version of their popular CFD meshing software. The major new feature in Gridgen V15.10 is a novel technique for generating high-quality unstructured meshes for viscous CFD analysis called anisotropic tetrahedral meshing. 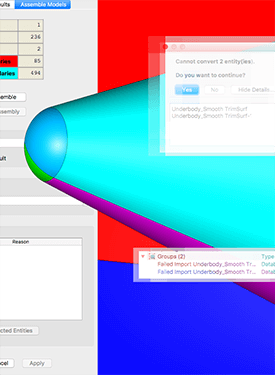 Pointwise has released its next-generation CFD meshing software for beta testing. The eponymous Pointwise software is the result of over 20,000 hours of development and represents the future of reliable CFD meshing. Pointwise recently partnered with Shanghai Feiyi Computational Technology Ltd. (SFCT) to market Gridgen, Pointwise's computational fluid dynamics (CFD) meshing software, in China. Pointwise recently partnered with the Israeli Computational Fluid Dynamics Center (ISCFDC) to market, sell and support Gridgen, Pointwise's computational fluid dynamics (CFD) meshing software, in Israel. Pointwise announces the availability of their CFD meshing software, Gridgen Version 15.09, on Microsoft Windows and Linux workstations powered by the AMD Opteron processor. Pointwise announces the availability of their CFD meshing software, Gridgen Version 15.09, on the Silicon Graphics Prism Deskside workstation. Pointwise announces the latest release of their computational fluid dynamics (CFD) meshing software, Gridgen Version 15.09, featuring the addition of solid modeling and solid meshing. Pointwise announces the public release of UGC API V2, software and documentation for an application programming interface (API) for unstructured meshing software. Pointwise recently announced a special program for engineers using the popular computational fluid dynamics (CFD) software FLUENT. Pointwise is pleased to announce the Gridgen User Group Meeting 2006 will be held at the Sheraton Grand Hotel Dallas/Fort Worth Airport in Irving, Texas on 24-25 April 2006. Pointwise, Inc. released Gridgen Version 15.08 today. This latest release of computational fluid dynamics (CFD) meshing software includes a major enhancement of the software's numerical techniques for hexahedral grids. 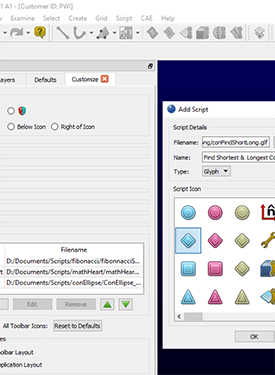 Pointwise, Inc. has established the Glyph Script Exchange (www.pointwise.com/glyph) on their website for Gridgen users to share Glyph scripts with each other. GridgenGlyph is Gridgen's scripting language. Pointwise, Inc. released Gridgen Version 15.07 today. This latest release of computational fluid dynamics (CFD) meshing software features major additions to Gridgen's geometry modeling capabilities including trimmed surface creation and IGES export. Pointwise announced changes to the hardware platforms supported by Gridgen, their CFD meshing software. This announcement adds to and amends announcements previously made on 28 June 2004 and 2 June 2003. Pointwise is pleased to announce the Gridgen User Group Meeting 2005 will be held at the Renaissance Worthington Hotel in Fort Worth, Texas on 25-26 April 2005. Pointwise, Inc. released Gridgen Version 15.06 today. This latest release of computational fluid dynamics (CFD) meshing software features a port to the Mac OS® X operating system and a major new capability for mesh extrusion techniques. The 8th Annual Pointwise/Intelligent Light Aerospace Client Briefing and breakfast will be held 11 January 2005 at the Reno Hilton in Reno, Nevada in conjunction with the AIAA's 43rd Aerospace Sciences Meeting and Exhibit. Ten years ago today, two CFD engineers founded Pointwise to seek solutions to the top problems facing engineering analysts: meshing and preprocessing for computational fluid dynamics (CFD). Pointwise, Inc. is pleased to announce the Gridgen User Group Meeting 2005 will be held at the Renaissance Worthington Hotel in Fort Worth, Texas on April 25-26, 2005. Pointwise, Inc. released Gridgen Version 15.05 today. This latest maintenance release of our CFD meshing software features a new port to HP's Itanium-based workstations running HP-UX 11 and expanded Native CAD Reader Support. In a move that will bring the renowned user experience of Macintosh together with the industry's leading grid generator and post processor, Pointwise and Intelligent Light are pleased to jointly announce the upcoming availability of their respective CFD (computational fluid dynamics) pre- and post-processing software, Gridgen and FIELDVIEW, for Mac OS X.
Pointwise, Inc. announced today that Version 15 will be the last major release of their Gridgen software to support IBM's AIX operating system. 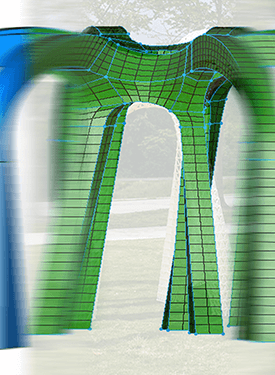 Pointwise announced today future versions of their flagship computational fluid dynamics (CFD) mesh generation software, Gridgen, will have the ability to read CATIA® V5 native format files and run natively on HP-UX 11.0 on Itanium®. Pointwise released Gridgen Version 15.04 including a native interface to the new STAR CCM+ flow solver from the CD adapco Group. Pointwise released Gridgen Version 15.03. This latest release of our CFD meshing software includes a native interface to the new unstructured WIND CFD solver and a double-precision option was for the Cobalt CFD solver interface. 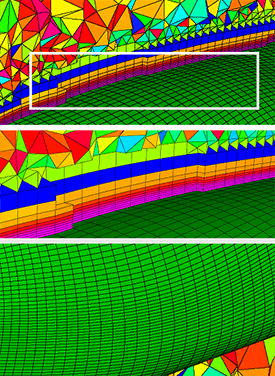 Pointwise has released Gridgen Version 15.02, a recent update of our CFD meshing software. Two new capabilities in the software add to Gridgen's ability to read native format CAD files and handle sloppy geometry models. Pointwise recently added two new international distributorships to market and sell Gridgen, Pointwise's computational fluid dynamics (CFD) meshing software. Pointwise is pleased to announce the first Gridgen User Group Meeting to be held in our hometown of Fort Worth, Texas on 5-6 April 2004. Pointwise, Inc. today announced a special program for engineers using the popular CFX and CFX-TASCflow computational fluid dynamics (CFD) software. Pointwise, Inc. recently added to the roster of international sales partners for Gridgen, Pointwise's computational fluid dynamics (CFD) meshing software. The 7th Annual Pointwise / Intelligent Light Aerospace Client Briefing and breakfast will be held 6 January 2004 at the Reno Hilton in Reno, Nevada in conjunction with the AIAA's 42nd Aerospace Sciences Meeting and Exhibit. Pointwise, Inc. has released Gridgen Version 15.01, the first enhanced release of their CFD meshing software. Included among the 189 improvements are major enhancements to mesh extrusion and the scripting language. Pointwise, Inc. has been awarded a research contract from the U.S. Naval Air Warfare Center for a feasibility study of software techniques for converting computer-aided design (CAD) data into solid models suitable for computational fluid dynamics (CFD) meshing. Pointwise, Inc. is pleased to announce a new program designed for academic institutions interested in using Gridgen as a teaching tool. Pointwise, Inc. issued a call for entries for the third annual Holiday Card Design Contest. Pointwise, Inc. began shipping Gridgen Version 15, the latest release of its meshing and preprocessing software for computational fluid dynamics (CFD), today to customers worldwide. Pointwise, Inc. announced today that Version 15 will be the last major release of their Gridgen software to support the following operating systems: SGI IRIX prior to Version 6.5 and Compaq/DEC Tru64. 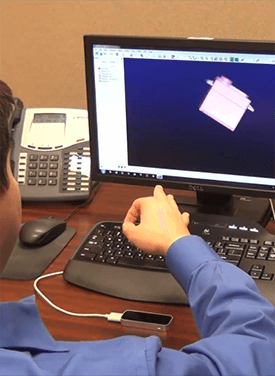 Pointwise, Inc. is pleased to announce that it has been awarded a research and development contract worth an estimated $500,000 from the United States Air Force Research Laboratory (AFRL) for the development of an application programming interface (API) for unstructured meshing. Pointwise today announced the 6th Annual Joint Gridgen/FIELDVIEW User Group Meeting and breakfast will be held on 07 January 2003 at the Reno Hilton in Reno, Nevada in conjunction with the AIAA's 41st Aerospace Sciences Meeting and Exhibit. Pointwise, Inc. today began shipping Gridgen Version 14, the latest release of its flagship CFD meshing software product, to customers and distributors worldwide. On behalf of the International Meshing Roundtable, Pointwise is pleased to announce that the 11th annual convergence of meshing researchers from around the world will occur September 15-18, 2002 in Ithaca, New York. Pointwise today announced the 5th Annual Joint Gridgen/FIELDVIEW User Group Meeting and breakfast will be held on 15 January 2002 at the Reno Hilton in Reno, Nevada in conjunction with the AIAA's 40th Aerospace Sciences Meeting and Exhibit. Pointwise today froze source code for Gridgen Version 14, the latest release of its flagship software product for reliable CFD meshing. Pointwise today released the schedule for its Gridgen Training courses for the remainder of 2001 and all of 2002. Pointwise today released Gridgen, their mesh generation and preprocessing software for computational fluid dynamics (CFD), for the Linux operating system. On behalf of the International Meshing Roundtable, Pointwise is pleased to announce that the conference's tenth anniversary will be celebrated when meshing researchers from around the world convene October 7-10, 2001 in Newport Beach, CA. John Chawner, Pointwise's president, is a member of this year's conference steering committee. Pointwise, Inc. today began operations at its new headquarters in the historic Fort Worth South neighborhood. Pointwise today announced that the annual joint breakfast meeting of Gridgen and FIELDVIEW users will be held 09 January 2001 at the Reno Hilton in Reno, Nevada in conjunction with the AIAA's 39th Aerospace Sciences Meeting and Exhibit. Pointwise today released Gridgen Version 13.3, the latest version of its popular CFD and FEA preprocessing software. Gridgen Version 13.3, the current production release, will be the last version with explicit support for IRIX 5, IrisGL, and the MIPS 1 instruction set. Pointwise and Intelligent Light today scheduled their annual Joint Gridgen/FIELDVIEW User Group Meeting. Pointwise today released the first version of its popular Gridgen CFD and FEA preprocessing software for computers running the Windows 95/98 and Windows NT operating systems. Pointwise today announced the 1999 schedule for Gridgen Training Courses to be held in its Dallas/Fort Worth area offices. 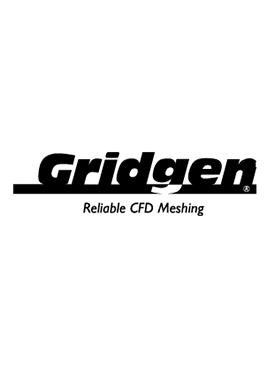 Pointwise is pleased to announce that Gridgen is Year 2000 Compliant according to the following terms, provided that all other products (e.g., hardware, software, firmware) used with Gridgen are also Year 2000 Compliant. Pointwise, Inc. today began shipping Gridgen Version 13, the latest release of its software used for grid generation and preprocessing for computational fluid dynamics and finite element analysis. Pointwise, Inc. today began shipping Gridgen Version 13 to its Beta testers. After a thorough testing period of the software's new features, which include triangular surface meshing, tetrahedral volume meshing, and grid quality computation and display, Gridgen Version 13 will be released to clients and new prospects for evaluation. Pointwise, Inc. and Geometricon, L.L.C. announced today at the American Insititute of Aeronautics and Astronautics 36th Aerospace Sciences Meeting and Exhibit that they have agreed to work together to develop grid generation software for computational fluid dynamics and finite element analysis preprocessing. Pointwise today announced the 1998 schedule for Gridgen Training Courses to be held in its Dallas/Fort Worth area offices. 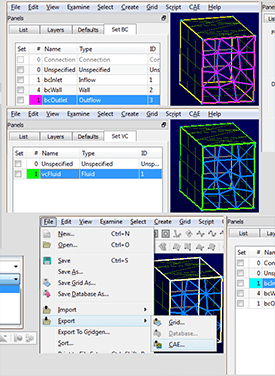 Pointwise, Inc. today released a version of its numerical grid generation software, Gridgen, for Sun workstations. Pointwise today released a version of their popular numerical grid generation software, Gridgen, for Digital®AlphaStation® workstations from Digital Equipment Corporation. 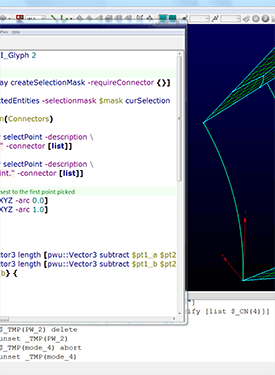 Pointwise today announced the release of version 12 of their popular numerical grid generation software, Gridgen. Pointwise today announced the 1997 schedule for Gridgen Training Courses to be held in its Dallas/Fort Worth area offices. Pointwise today announced the release of a direct interface in their numerical grid generation package, Gridgen Version 11, for the TASCflow computational fluid dynamics (CFD) software product. Intelligent Light and Pointwise today announced the establishment of an agreement in which the two computational fluid dynamics (CFD) software vendors will cooperate on software development and marketing activities focused on enabling design-cycle CFD. Pointwise today announced the release of a direct interface in their numerical grid generation package, Gridgen Version 11, for the FLUENT computational fluid dynamics software product. Pointwise today announced the release of Gridgen Version 11 for IBM's family of RS/6000 workstations. Pointwise today announced the release of Gridgen Version 11, the latest revision of its grid generation software product. Pointwise today announced the release of Gridgen Version 10.8, the latest revision of its grid generation software product. Richard J. Matus has been named vice president of Pointwise Inc.'s sales and marketing organization, John R. Chawner, company president, announced today. Pointwise, Inc. today announced Gridgen support for Analytical Methods, Inc.'s VSAERO © and AMTEC Engineering, Inc.'s INCATM computational fluid dynamics software. Today, at the American Institute of Aeronautics and Astronautics' (AIAA) Aerospace Sciences Meeting and Exhibit, John Chawner and John Steinbrenner, the developers and driving force behind the Gridgen software, announced the formation of Pointwise, Inc.